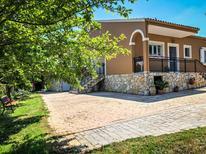 A holiday house on Corfu costs on average GBP 1,107 in the cheap travel period and GBP 2,502 in the peak season per week. These details are of course in relation to the house and not per person as well as includes the obligatory additional charges. DuMont recommends atraveo: DuMont direkt – Corfu 2011, page 15. DuMont recommends atraveo: DuMont direct – Corfu 2007, page 23. Corfu is an island in the Ionian archipelago, located in the Adriatic Sea west of mainland Greece. 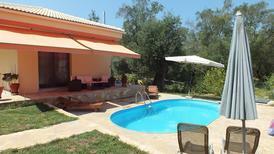 Corfu includes a number of beaches and towns which guests renting holiday houses on Corfu can easily visit. The largest town is Corfu Town, which includes both an airport and port. It has a Mediterrenean climate with very dry summers, but greater rainfall during the winter months. 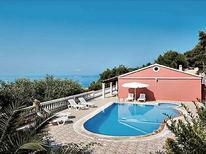 Those who rent holiday apartments in Corfu Town can visit a myriad of historic sites in the winter and summer months. 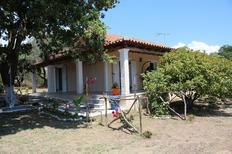 There is the Archaeological Museum of Corfu which includes a collection of archaeological artifacts. 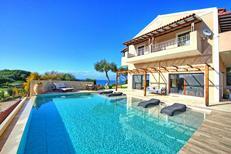 If renting a holiday house in Kérkyra, visit the Asian Art Museum which houses artifacts from Asia. The magnificent neo-classical Achilleon Palace, in Gastouri, is another notable museum on Corfu. In September visitors will easily get tipsy at the annuel Arillas wine festival where the wine flows freely. 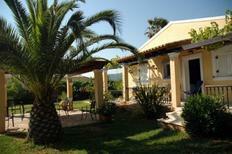 With numerous beaches scattered along its coastline, Corfu is ideal for holiday rentals. Visitors can rent holiday homes at a number of Corfu's resort towns such as Sidari, which has long sandy beaches set alongside clear blue waters. 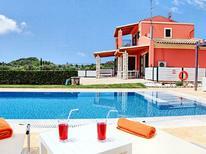 Book holiday apartments around Ypsos to enjoy its extensive sandy beach with sunbeds and umbrellas. The Glyfada Beach offers all this, as well as beach bars and amazing crystal waters. Holiday homes around Agios Ioannis put visitors near the Aqualand resort which is among the largest water parks in Europe. 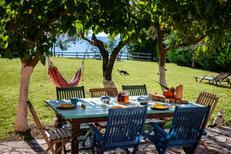 Another great location for holiday rentals is Messonghi, where boat trips launch to several famous "blue caves" near the islands of Paxos and Antipaxos. Visitors who take a vacation in a holiday home on Corfu have plentiful beaches for summer holidays and intriguing museums to visit during the winter.